People often ask me about fuel efficient SUVs. “Doug,” people will say, “What about fuel efficient SUVs?” These people aren’t very specific. The truth is there aren’t that many fuel efficient SUVs, and I’m not entirely sure why. Yes, there are a few hybrids – but with the Escape Hybrid long gone, the cheapest one, Toyota’s Highlander Hybrid, starts above $40,000. That’s about where diesel SUVs start, too. 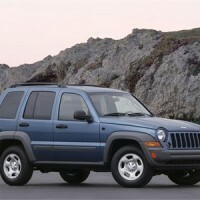 Behold, the diesel-powered Jeep Liberty, known as the Jeep Liberty CRD. It was sold in the United States from 2005 to 2006, which means at any given time there are only a few dozen on AutoTrader. But they’re out there, somewhere, with a 2.8-liter turbodiesel 4-cylinder that made 160 horsepower and a muscular 295 pound-feet of torque. If that sounds pretty cool, it is – especially when you consider the average asking price on AutoTrader is hovering around $10,000. Think about it: a compact SUV with tons of towing power and a fuel-efficient diesel engine! It’s the greatest car in the world! Sadly, however, there’s one problem: it’s NOT the greatest car in the world. Part of the issue is that it’s still a Jeep Liberty, which means you have to deal with the, shall we say, inexpensive interior components clearly sourced from the same people who make airline headphones. The other problem? Fuel economy, believe it or not. Despite its diesel powertrain, the Liberty CRD returned just 21 mpg in the city and 26 mpg on the highway – far below most gas-powered compact SUVs today. But it still exists. And it’s still pretty cool. The Grand Cherokee came in a CRD variant as well. IIRC, it was powered by a 3.0 V6 Turbo diesel. Both of these models sourced Mercedes Benz for thier engines. Actually, I think the 2.8L in the Liberty is the same mill used in the Ram Sprinter/Freightliner/MB compact cargo vans that came out around the same time. I’ve always fantasized about turning one of these into a trail mule. Limited trim with leather, heated seats, nice sound system, 4×4 (of course) with tons of ground clearance, a boatload of lights, some winch apparatus, racks and snorkel. Man… what a beast. Droooooooooool. You’re right about the Grand Cherokee CRD, it had the 3.0 Mercedes V6. However, the Liberty’s 2.8 was actually sourced from Italian engine manufacturer VM Motori. Which I believe is where the current gen Grand Cherokee also gets its 3.0 diesel from, since Fiat is a majority owner of VM. A co-worker has the Liberty CRD. I rode in it once. The engine sounds like a fork stuck in a sink disposal. I had a Liberty for a while. It had the V6 with 210 hp and 235 lbs feet. Not enough. 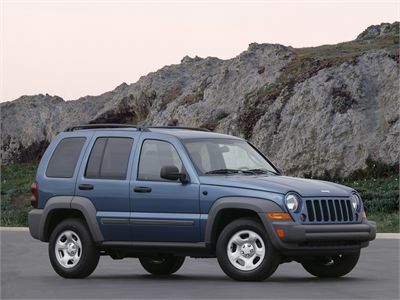 I never cared about the cheapness of the interior, because it was a Jeep, after all. Some may give flack for that because it doesn’t have a solid axle at the front, but screw them. That thing was a great little car. I’d have killed for more torque. And my gas model only got about 20 mpg, so this would have been an improvement. I don’t care if I sound like “one of those people” on the internet, I loved that car.